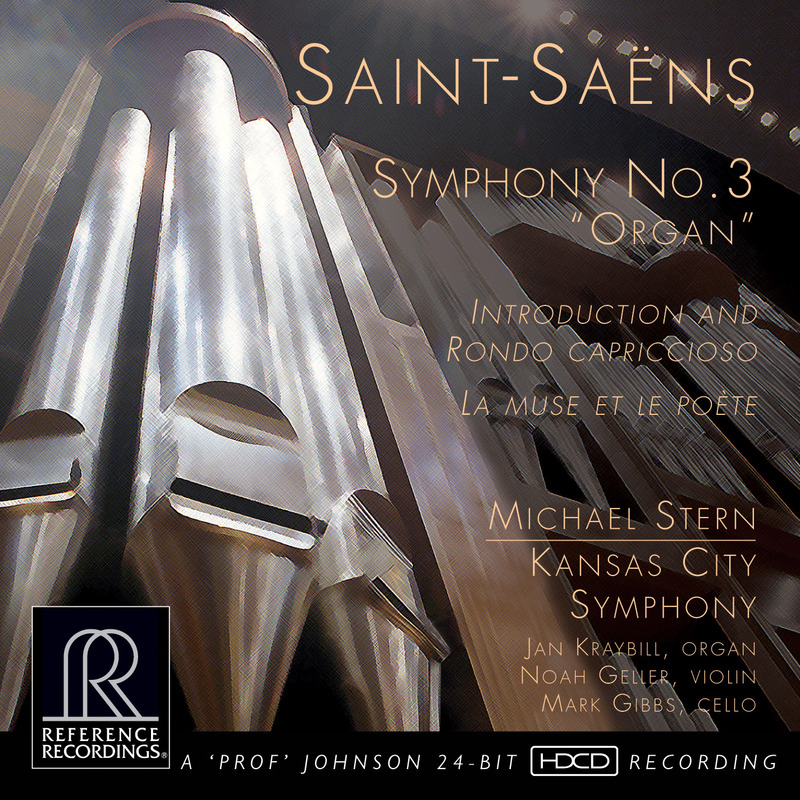 Together with audiophile label Reference Recordings, the Kansas City Symphony is pleased to announce the release of its newest recording, Saint-Saëns Smphony No. 3 “Organ.” Released June 9, the CD is now available on Amazon.com, iTunes and the Reference Recordings website. Conductor Michael Stern’s interpretations of these great works is captured in brilliant HDCD sound by GRAMMY® award winners Keith O. Johnson (engineer) and David Frost (producer). The Symphony has released four previous titles with Reference Recordings to great acclaim — Shakespeare’s Tempest, the Grammy®-winning Britten’s Orchestra, an Elgar/Vaughan Williams project and most recently, Miraculous Metamorphoses, which highlights composers Hindemith, Prokofiev and Bartók.